We generally heard about the term PST or OST, but have you ever tried to distinguish between these terms, about their acronym and reason to be called differently. I guess no. In case, if you would have done this before, then probably this article will introduce something new about the same. So, let's start digging about Outlook Data File & Storage mechanism from the scratch, so this blog post could spell-out more to the Outlook users. 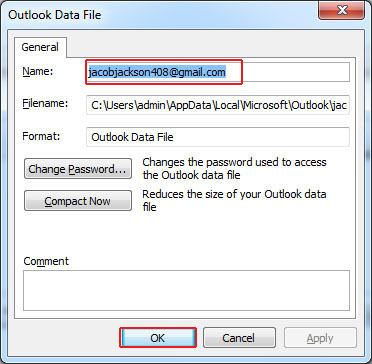 Outlook data files or personal folders refer to a file format which maintains the database of Microsoft Outlook in one single file. It stores all your Outlook data such as emails, calendar, contacts, appointments, tasks, notes, attachments, etc. PST: PST stands for a personal store table/ file or Outlook data file which usually stores all the Outlook items in a single file on your computer only. This file format is specially used by home Outlook users or small organizations. OST: OST stands for Outlook storage table or offline Outlook data file, because it is created when you use MS-Outlook with exchange server. The items of OST files are stored on both mail server and computer. A user can access this data with or without connectivity to exchange. 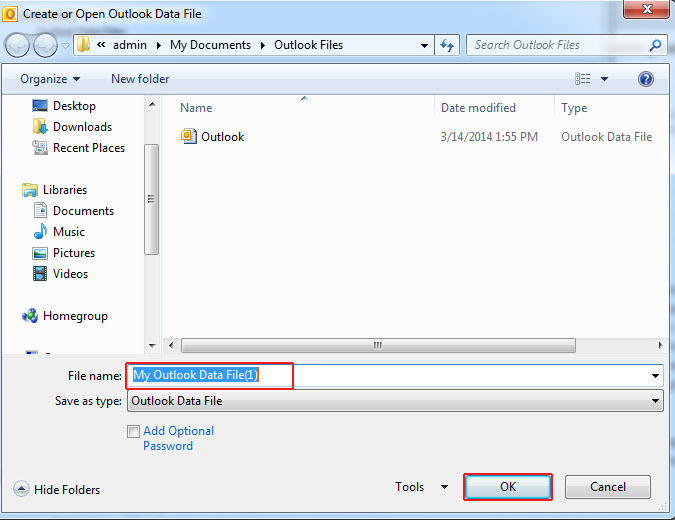 What is the Extension of Outlook Data File? Every application in computer saves its data in different file format with unique file extension like notepad used ".txt", MS-word used ".docx" and other ones. Like these extensions, MS Outlook also comes with its own data file schema & data file extension. PST: The file extension of the Outlook PST Data File is ".pst". OST: Outlook creates ".ost" file when it is connected to an Exchange Server. What is the Default Location of Outlook PST File? It's always been a complicated question that where the Outlook PST Data file exists in computer and is there any way to access it. Identifying the default location of PST files is really a tedious job especially for the non Outlook users. 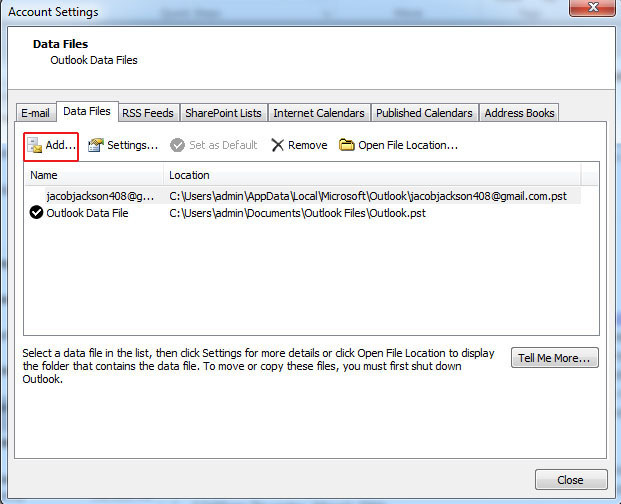 Awareness about the location of this file can save a huge time of user and one can use this file for further use if he/she knows the default location of Outlook data file. How to Create An Outlook Data File (PST)? Personal Folder File automatically created when a user configures an email in Microsoft Outlook. But sometimes, need of another PST file can be evoked in front of the user. Generally, creating distinct Outlook Data Files is also considered as an effective practice to manage different Outlook profiles and their data. Follow the given path to reach out on the "Account Settings" option. 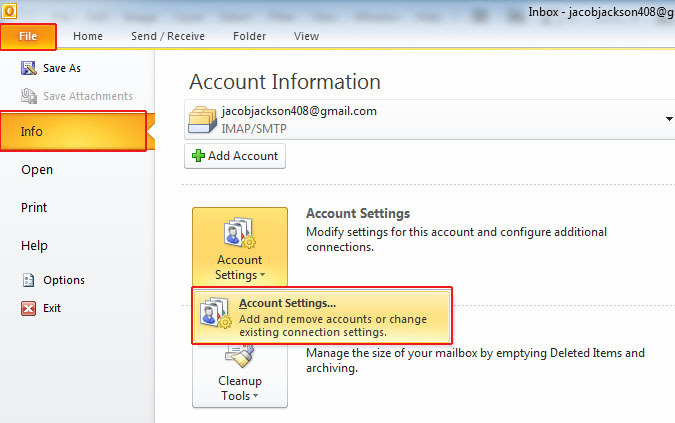 By clicking on the “Account Settings” option, a new pop-up window screen will appear on the screen called Account settings. Hit on Add button to start creating a new PST file. Assign the required name to the PST file and click on “Ok” to save it. Give a name to the new personal Folder file and save it by clicking on “Ok” button.